‘Newton gave us answers. 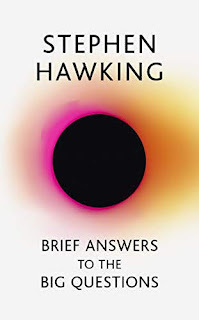 Hawking gave us questions. And Hawking’s questions themselves keep on giving, generating breakthroughs decades later. When ultimately we master the quantum gravity laws, and comprehend fully the birth of our universe, it may largely be by standing on the shoulders of Hawking.’ So said Professor Kip Thorne in 2018 at the interment of Stephen Hawking’s ashes between Newton and Darwin in Westminster Abbey under a stone engraved with Hawking’s equation linking for calculating the temperature of a black hole. ‘The city man queried which creature had made such a blood-curdling sound. The dalesman said, ‘It was an owl’. ‘I know that,’ was the reply, ‘but what was ’owling?’’ Yorkshire folk may drop their ‘aitches’ but get a good laugh about life in Bill Mitchell’s insightful perspective. His ‘Yorkshire’ compiled by his son celebrates their home county with special focus on the Yorkshire Dales. 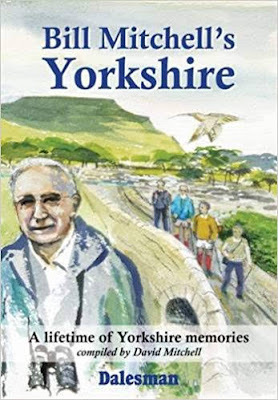 Bill joined the staff of ‘The Dalesman’ in 1949 and his journalism ‘putting people before things’ has wide-range and warmth captured in this selection from his two hundred books and booklets about Yorkshire life. ‘In essence, Muslims are expected to be people of shukr, or gratitude. The Quranic opposite to shukr is kufr or disbelief. As a community of gratitude, it is among the greatest acts of ingratitude to burn the bridges of pluralism and secularism that allow for Muslims to observe their faith in the West’. That bridge burning is addressed head on in this topical book by a former Muslim extremist now passionate for the recovery of Islam’s mainstream. 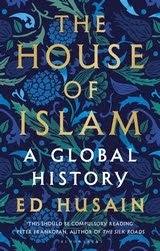 ‘The House of Islam is on fire – and the arsonist still lives there. Neighbours can bring water to put out the fire, but Muslims must also expel the fire bombers in their midst’. I remember how 101 Best Bible Stories first got me reading Scripture. Where someone honours the biblical accounts by rewriting them imaginatively yet faithfully they engage a wider readership. 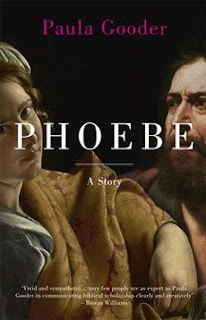 In Phoebe Paula Gooder opens up the world of the first Christians using her New Testament scholarship to bring scripture alive through writing a life of Paul’s coworker Phoebe. How had thinking so simple, clear, direct, deep and traditional found a voice on BBC and gone viral on YouTube? 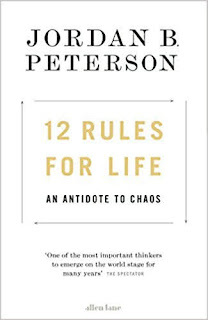 This lay behind my ordering Canadian psychologist Jordan Peterson’s new book on how to live your life that I imagined would be in a different league from other self-help books. I wasn’t disappointed so that the book set me to inner dialogue with the social activist, indulgent parent and softee churchman that’s me. This showed I was following two of the author’s twelve rules: ‘treat yourself like someone you are responsible for helping… assume that the person you are listening to might know something you don’t’. On a visit to the local monastery for spiritual direction I was struck by the number of monks reading this book and raised humorously the question ‘how are you getting on with Holy Living’? My own reading had preceded theirs and this review provides my answer! That so many involved in religious life and spiritual direction look to Rowan Williams as an authority is a tribute to the breadth and depth of his engagement with the Christian tradition even if the density of his thought can be overpowering. There are indisputably 100 million Christians among China’s 1,400 million population. The growth of so many believers has come with much hardship and many miracles and most dramatically in the eastern coastal province of Shandong. This first of this series of China Chronicles covering church growth in Shandong comes from The Heavenly Man author, Paul Hattaway with a preface by Brother Yun. The series is aimed at the Church in China and overseas, evidencing the spiritual legacy of the last 160 years, building from Hattaway’s 30 year missionary service in China.